Have you already applied to be a Community Leader? As the semester comes to an end and the guest posts from our 2014 CLs are wrapping up, I’ve selected 6 of the most hardworking and enthusiastic CLs on our team to answer interview questions that will help you better understand what the position entails abroad and at home. Go Global is thrilled with the amount of interest that has been received to fill these positions on each of our trips! We need your help, and we promise to provide you with impactful leadership training along the way. Luckily, I received overwhelmingly detailed responses to these interview questions — so we’ve decided to make this post a 2-parter! First, let me introduce you to the 3 CLs featured in Part 1. 1. What drew you to the idea of being a CL? 2. What were your top 3 takeaways from being a CL? What did you learn, and what did you gain? “a. Being a CL forces you to meet people as soon as you get on the ground. b. Your peers look up to you as an example. “a. Confidence- Speaking in front of groups no longer intimidates me. b. Connectedness/Family- Being a CL allows you to be much more connected to the Go Global team and family. “a. I definitely learned how to be a better listener. Being a CL is a challenging role in balancing leading the group but also finding a way to get everyone involved so it’s not just you talking–which is the case for all leadership roles. I guess you can say I became a better leader by challenging myself to become a better listener. b. I gained a different perspective on what is most important to different people through the values lesson. Being able to lead a small discussion inside of my group and hear how different life experiences make you value certain things more. It gave me the opportunity to walk in someone else’s shoes for the day. 3. What were the advantages/perks of being a CL? The extra fun stuff! 4. How has being a CL helped you in other areas of your life outside of Go Global? Taylor: “Honestly I could say being a CL has helped me in all areas of my life. Having that leadership role abroad in a foreign country is such a eye-grabber on a resume. It was definitely an important role in being voted Social Chair of my sorority 2 years in a row, getting my Tilt ambassador job, and the role as a Panhellenic Sigma Rho Chi for this upcoming fall recruitment. It’s actually funny: both Joanna and Pierce were in Alabama during my interviews and walked me through the entire process, then we laughed right after because I thought I blew it–luckily I didn’t! But, they were the first ones I texted when I got the email saying that I was one of the ones selected! 5. What advice would you give to this summer’s CLs to make their experiences the best they can be? “a. Make yourself vulnerable. This will let your group know it’s okay to open up to you and the rest of the group. b. Hang out with other CLs. They can relate to what you’re experiencing. c. Enjoy each and every meeting you have with your group because time flies. d. Definitely go to the ATL retreat. e. Get to know the TA’s and teachers. They are an integral part of your experience that can often be overlooked with so many students to get to know. 6. What were actual your responsibilities/duties as a CL? 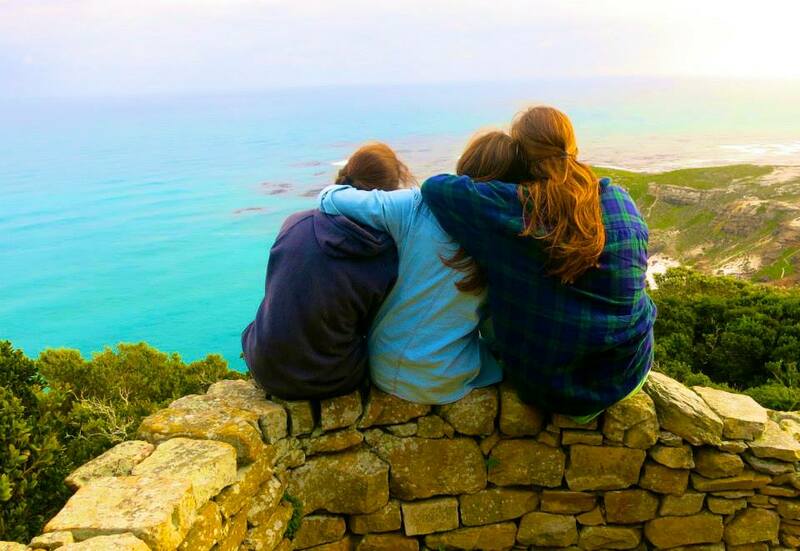 What will you do to build a sense of community abroad this summer? If you haven’t applied for a CL position yet…it’s not too late! Contact a Go Global staff member or comment on this post. We’re here to help you make the most of your Go Global Experience. Stay tuned for Part 2! Especially GO: Rome students…it features your 2 interns for this upcoming summer!